President Michael Sata’s useless populism must be stopped. He must just implement the Barotseland Agreement which he promised them to win votes. A Commission of Inquiry was needed to get submissions on how best to implement the Barotseland Agreement (like the Chona One Party state Commission in 1970-71), not this useless and deceiving one led by Rodger Chongwe. Deception has short legs. Even when it is backed by media institutions who have released there staff to work in the PF government after an irrational support for PF, deception backfires and hits hard in the face. Here are reasons why we say President Sata is not only wasting taxi payer’s money but trying to deceive the Barotse activities that he cares about them when just using them for his personal political populism. Secondly, already, the submissions being made to the Commission ( Times of Zambia 29/10/11) confirm my point. Those Barotse activists submitting are concentrating on the demands for independence, rather than on how they were shot at. So what report will the Commission make with these independence-demand submissions? If they refuse to recommend on these demands on grounds that they are not within their mandate then they will be agreeing with me that they are a useless Commission. If they recommend independence based on these submissions then they will be going outside their mandate, and a new Commission with such a mandate, like the one I am proposing will be required. More money spent on a second commission? Thirdly, the modalities of ‘constitution in 90 days’ which Sata promised during opening of parliament totally leaves out the implementation of the Barotse Agreement. If Barotse activists sitdwii or start salivating towards Sata’s deception they will be in for a shock. Sata proposed to appoint ‘experts’ to review the recommendations of previous CRCs and include the common recommendations in the new constitution. Wake up! None of these past CRCs ever recommended implementation of the Barotseland Agreement! So these ‘experts’ will not include theBarotseland issue in Sata’s constitution. And yet, Sata will say that he will not implement the Barotseland Agreement because the experts have refused to include its implementation in the constitution. Can anyone tell me how you can have a regional court, parliament, Prime Minister (Ngambela) without a constitutional amendment? 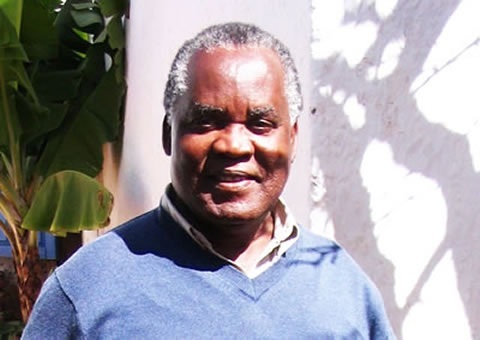 Fourth, Dr Rodger Chongwe , the Commission’s Chairman is likely to side with the detainees because he has been the lawyer for Barotseland Activists since the early 90s. So he will recommend that they are innocent, which we already know. If Chongwe has any sense of decency matching his age, he should have refused to head the Commission on grounds of conflict of interest! Fifth, Sata , it is reasonable in imagine, that he is trying to fool the activists by appointing, a Lozi, Inonge Lewanika as Chiefs’ Affairs Minister ( another useless, tax-paper wasting and illegal office not yet approved by parliament) so that the activists blame her (their fellow Lozi) and not him (Sata) if discussions with the western province chiefs , especially with Nkoya chiefs who demand a Kafue province away from Barotseland, fail to reach consensus over the Barotse Agreement implementation. Remember that Kaunda in 1966, in violating the Barotse Agreement, used a Lozi , Manukayubwa Sipalo as Local Government minister? The wise learn from history. I have advocated Barotseland Agreement implementation when people like Sata and his stooge media were against it. But it’s has always been clear to me that Sata lacks the moral or intellectual sophistication to handle such a complex international matter.